This post does not replace proper medical treatment. You should always go and see your doctor and follow his/her advice to get a proper treatment for osteoporosis. This post just gives you information about all available alternatives to Fosamax. Fosamax (alendronate) belongs to a group of drugs called bisphosphonates. Fosamax helps prevent and treat osteoporosis (1). Osteoporosis is a disease that effects the bones. It is commonly called “brittle bone disease” and the literal meaning of osteoporosis is “porous bones”. It can occur either due to excess bone loss or inadequate bone formation. The bones become thin and break easily. The chances of osteoporosis increase with age and steroid use. It is more common in women compared to men. Fosamax works by altering the cycle of bone formation and deposition. Fosamax helps slow down bone loss while increasing bone formation; thus preventing bone fractures. 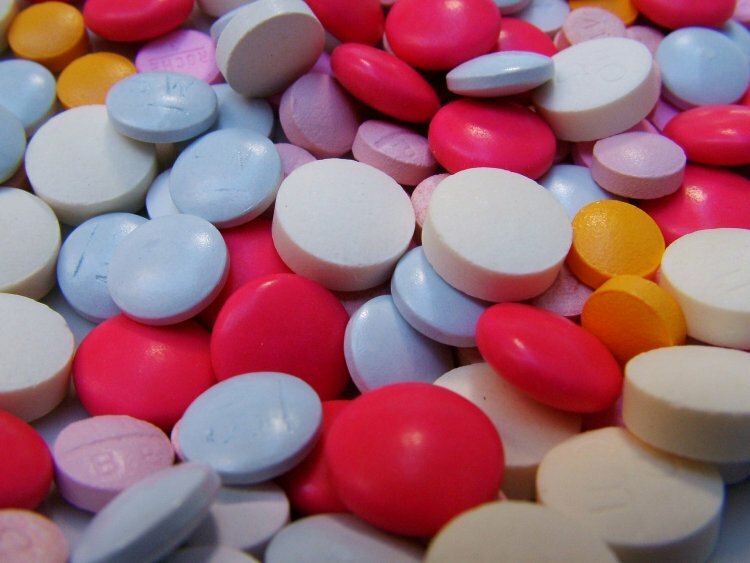 Different drugs treat different forms of osteoporosis. Fosamax mainly treats osteoporosis due to menopause and steroid use. It is also used for the treatment of Paget’s disease- a bone disease which results in fragile bones. It also helps increase bone mass in men suffering from osteoporosis. Fosamax is a great drug for the treatment of osteoporosis. But like every drug it has its pros and cons. Fosamax can cause allergic reaction in certain people. If your notice any signs of allergic reaction contact your doctor at once. Osteoporosis is a serious problem especially in women over 50 years. Fosamax is used to prevent and treat osteoporosis. But some people might be allergic to it or it might not suit them. Drugs like aspirin and furosemide can cause a drug interaction with fosamax. So if you are taking them, avoid fosamax and use an alternative. If you suffer from hypoglycemia (low blood sugar) or renal (kidney) disease then try to avoid Fosamax. But do not worry - there are many alternatives to Fosamax available on the market. In this section we are going to talk about some of the pharmaceutical alternatives to Fosamax. Always remember to consult your doctor before starting or changing any drug. Risedronate is a drug that is used for the treatment and prevention of osteoporosis (6). It is mainly used in perimenopausal women. Risedronate belongs to the bisphosphonate group of drugs. Risedronate works by slowing down bone resorption. It inhibits the cells (osteoclasts) that cause bone breakdown. Fosamax and Risedronate belong to the same class of drugs. Researches are being conducted to determine which one is more effective. Few studies show that fosamax is more effective than risedronate. Fosamax, when compared to risedronate, has significantly greater BMD (bone mineral density) gain. It means Fosamax causes a better increase in bone density compared to risedronate. Both these drugs have the same upper gastrointestinal (UGI) tolerability. The main concerns with fosamax use are nausea and arthritis. While joint and back pain are main side effects of risedronate. When taking delayed release tablets do not chew or crush them. Take delayed release tablets with at least 4 oz. of plain water. Do not take it with coffee, juice or tea. After taking risedronate tablets do not take any other medication or lie down for at least 30 minutes. Do not take risedronate with food because food hinders its absorption in the gut. Take medication in the morning about 30 minutes before breakfast. While taking any drug there are some dos and don’ts that you need to follow. Risedronate is a bisphosphonate that can cause interaction with other drugs. If you notice any signs of allergic reaction to risedronate contact your doctor at once. The side effects of risedronate can range from mild to moderate. Risedronate tablets are available in 5, 30, 35 and 150 mg strengths (10). Risedronate is also available in form of delayed release capsules. For postmenopausal women 5 mg daily or 35 mg weekly is the suitable dose. For men with osteoporosis and for steroid induced osteoporosis 35 mg weekly is the recommended dose. For people with Paget’s disease 30 mg daily for 2 months is the suitable dose. Ibandronate is a nitrogen containing bisphosphonate (11). It is indicated in women who are post menopause. In postmenopausal women there is an increased rate of bone loss. Studies have shown that ibandronate helps reduce bone resorption and increase bone density. Both these drugs belong to the same class of drugs – bisphosphonates. Fosamax is used for prevention and management of different types of osteoporosis, while ibandronate is mostly used for the treatment of osteoporosis in menopausal women. The main side effects of fosamax are nausea and arthritis. While the main concerns with ibandronate use are joint and back pains. The main indication of ibandronate is osteoporosis in menopausal women. Ibandronate has to be taken once a month orally. Make sure to set reminders so you do not miss a dose. The intravenous injection of ibandronate is a technical thing. So contact your physician in regard to IV injection of ibandronate. Ibandronate is present in the form of tablets and intravenous injections. The oral dose of ibandronate is 150 mg once a month (13). Make sure to take the tablet on the same day of each month. 3 mg of intravenous injection over 20 to 30 second is indicated for treatment of osteoporosis. The injection is repeated every 3 months. Zoledronic acid is a bisphosphonate. It is used in the treatment of certain types of osteoporosis. Zoledronic acid is also used in combination with other drugs for the management of certain cancers (14). Zoledronic acid is mainly used to control the high blood calcium levels caused by cancer. Zoledronic acid reduces the breakdown of bone. Thus decreasing the amount of calcium released into blood due to bone breakdown. Both these drugs belong to the bisphosphonate group of drugs. 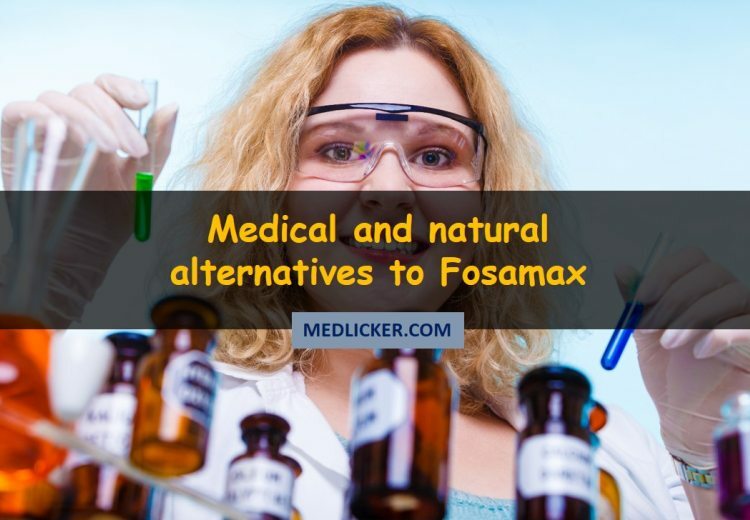 The main indication of fosamax is prevention and treatment of osteoporosis, while zoledronic acid is mainly used as an adjuvant in cancer therapy. The main side effects of fosamax are nausea and arthritis. While the main concerns with zoledronic acid use are tiredness and flu like symptoms. Zoledronic acid has to be given as an infusion. That has to be done in a hospital setting. Like all drugs in the market zoledronic acid also has side effects (15). If you are taking zoledronic acid and notice any signs of allergic reaction contact your doctor at once. Zoledronic acid is available in the form of intravenous infusion (16). For the management of hypercalcemia of malignancy: 4 mg zoledronic acid infusion over 15 minutes is given. If serum calcium levels do not return to normal then another dose is give after 7 days. For treatment of osteoporosis: 5 mg infusion of Zoledronic acid is given over at least 15 minutes. The use of calcium and vitamin D is also recommended with zoledronic acid use. Miacalcin is a man-made form of hormone. This hormone is naturally found in the thyroid gland. Miacalcin is present in the form of nasal spray and injection. Miacalcin is used for the treatment of osteoporosis in women who have been menopausal for 5 years (17). Fosamax belongs to bisphosphonate class of drugs, while miacalcin is a man-made hormone. Both these drugs are used for the management osteoporosis. But fosamax can also help prevent osteoporosis. The main concerns with fosamax use are arthritis and nausea. While the common side effects of miacalcin are bone pains and stomach upset. Do not blow your nose for a few minutes after using nasal spray. Miacalcin is present in the form of nasal sprays and injections. Miacalcin nasal spray should be reserved for people for whom alternative options are unsuitable - like people who are unwilling to take oral medication or get injections. Nasal spray is the less effective form of osteoporosis treatment compared to tablets and injections. Miacalcin is given as 100 international units every other day. Or it is given as 50 international units once a day either subcutaneously or intramuscularly (20). Forteo is a man-made hormone. It resembles parathyroid hormone that occurs naturally in the body. The active agent in forteo is teriparatide (21). Forteo is used for the treatment of osteoporosis in men and women. Forteo helps increase bone density and strength. Thus decreasing the risk of bone fractures. WARNING: POTENTIAL RISK OF OSTEOSARCOMA: Studies showed an increase in the incidence of osteosarcoma (a malignant bone tumor) in male and female rats. The cause of high incidence is teriparatide and was dependent on dose and treatment duration. Forteo is a man-made hormone, while fosamax belongs to bisphosphonate group of drugs. Both these drugs are used for the management of osteoporosis. But fosamax also helps prevent osteoporosis in menopausal women. Fosamax is more commonly recommended by doctors. The common side effects of fosamax are nausea and arthritis. While the common concerns with forteo use are weight gain and dizziness. Forteo should be administered subcutaneously in the abdominal wall or thigh. When the injection is given the patient should be lying down or siting so that they don’t fall down if the experience orthostatic hypertension- the decrease in blood pressure after getting up. Forteo has pros and cons like every drug in the market. Allergic reaction to drugs can be life threating. So if you notice any signs of allergic reaction contact your doctor at once. Forteo is available in the form of injectable solution (23). 20 mg of Forteo is given subcutaneously once daily. This dose is same form women and men. Prolia is a monoclonal antibody. This means that it is designed to target and destroy certain cells. Thus preserving the healthy cells. Prolia is used for the treatment of osteoporosis. It helps increase bone mass in men and women. It is also given as an adjuvant in cancer therapy in certain patients (24). Prolia is a monoclonal antibody, while fosamax is a bisphosphonate. Both these drugs are used for the management of osteoporosis. But fosamax can also help prevent osteoporosis. The common side effects of prolia are tiredness and bone pains. While the common side effects of fosamax are nausea and arthritis. Prolia is given subcutaneously in the abdominal wall or thigh. The dose of prolia is repeated every 6 months. It should be administered by a healthcare professional to avoid any complications. The use of prolia can cause dental problems. So make sure to practice good oral hygiene. Get emergency medical help if you notice any sign of allergic reaction after taking prolia. Every drug along with its benefits also has some side effects (25). 60 mg of subcutaneous prolia every 6 months is the recommended dose for osteoporosis treatment (26). Raloxifene is a selective estrogen receptor modulator (SERM). It is used to prevent and treat osteoporosis. Raloxifene prevents bone loss and makes the bone strong (27). Thus making bone fractures in postmenopausal women less likely. It also helps reduce the risk of invasive breast and uterine cancer. It works by blocking the estrogen receptors in the uterus and breasts. WARNING: Raloxifene increases the risk of serious blood clots. This can lead to death due to stroke. Fosamax is a bisphosphonate, while raloxifene is a selective estrogen receptor modulator. Both these drugs are used to prevent and treat osteoporosis. The common side effects of fosamax are nausea and arthritis. While the main concerns with raloxifene use are hot flashes and blood clots. Raloxifene is available in form of tablets. You can take the drug with or without food. Make sure to take the drug at the same time every day. If you miss a dose do not take a double does. Contact your doctor at once if you notice signs of allergic reaction after taking raloxifene (28). 60 mg of Raloxifene daily is recommended for treatment of osteoporosis (30). Osteoporosis is a disease that affects the bones. In the last few decades there has been an increase in the incidence of osteoporosis. Bisphosphonates are mostly used for the prevention and management of osteoporosis. But along with their benefits they also have side effects. One of the main negative effects of bisphosphonate use is compromised immunity. So people are now looking for natural alternatives so that they can avoid the side effects of pharmaceutical drugs. Many researchers are working on finding a natural treatment of osteoporosis. But so far the natural alternatives are few and untested. In this section we are going to talk about few of the alternatives that are available and are effective. Calcium is an important nutrient for the proper health of body. Calcium plays a key role in prevention of osteoporosis (31). Calcium helps the formation of bones. And this in turn increase the bone mass and prevents fractures due to osteoporosis. Not is calcium abundantly present in dairy and fruits but now it is also present in packaged foods. There are also many calcium supplements available in the market. The bones throughout our life undergo breakdown and formation. The pace of loss and formation of bone differs with age. After age of 50 especially in menopausal females excess bones loss can occur compared to bone formation. This is due to drop in estrogen levels and can lead to osteoporosis (32). As a person grows their calcium requirements change. So they should adjust there intake accordingly. The daily requirement of calcium depends on age and gender (33). Calcium carbonate is not easily absorbed in the body. But it contains the highest amount of element calcium. 1200 mg of calcium daily is recommended for prevention and treatment of osteoporosis in post-menopausal women. More isn’t always better. Excess of calcium can also cause certain side effects (34). If you are taking any other medication consult with your doctor. Because calcium might cause interaction with it. Where you live in the world. Duration of exposure too sun. The type of vitamin D formed in the body is vitamin D3 (cholecalciferol). Whereas the dietary form of vitamin D can be vitamin D3 or vitamin D2 (ergocalciferol). Vitamin D2 has a plant origin. Vitamin D deficiency can be due to insufficient sun exposure or inadequate dietary intake. Deficiency of vitamin D can cause growth retardation and bone deformities in children. While in adults the deficiency of vitamin D can cause osteoporosis. Vitamin D helps the body to absorb calcium more effectively. This helps with the formation and renewal of bones. And it also improves muscle functions. Thus in turns improves balance and decrease the risk of fracture due to falls. People whose body can not properly synthesize vitamin D.
Institute of Medicine's expert committee set these “dietary reference intake” of vitamin D in 2010 (38). 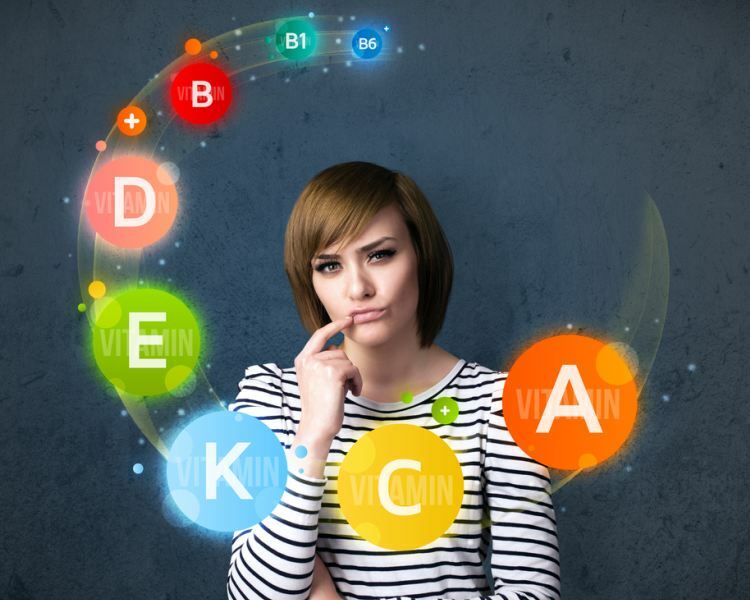 Many multivitamins also contain vitamin D. The use of supplementary vitamin D is recommended with calcium. Doctors also recommend the use of vitamin D with certain drugs used for treatment of osteoporosis. Boron affects the way the body handles other minerals. It helps increase the estrogen levels in menopausal women. It also helps increase estrogen levels in health men. The recommended daily intake of boron has not yet been established. A diet is considered high in boron when it has 3.25 mg of boron per 2000 kcal per day. And it’s considered low in boron when it provides 0.25 mg of boron per 2000 kcal per day. Regular exercise brings a lot of benefits to your body and an increase in your bone density is one of them (42, 43). Research shows that the prevalence of osteoporosis is lower in elderly individuals who tend to exercise during their youth. This doesn’t mean you shouldn’t exercise as you grow old. Exercise also shows that exercise improves bone mineral density in elderly and is therefore an excellent way to improve bone strength naturally. Fosamax is a great drug for the prevention and treatment of osteoporosis. But it might suitable for certain people. Due to allergic reaction or drug interaction with another medication they might be taking. But not to worry because there are many alternatives to fosamax available in the market. All drugs have their pros and cons. And sometimes the benefits are just not worth the side effects. Natural alternatives have few to no side effects. But there are not many natural alternatives for the treatment of osteoporosis. May studies are being conducted to find better natural alternatives for management of osteoporosis. Fosamax and risedronate are bisphosphonates that help prevent and treat osteoporosis. Zoledronic acid and ibandronate are a bisphosphonate that are used for the treatment of osteoporosis in post menopause women. Miacalcin and forteo are man-made hormones that are used for the treatment of osteoporosis in both men and women. Prolia is a monoclonal antibody that helps treat osteoporosis. It also helps fight bone metastases. Raloxifene is a selective estrogen receptor modulator that helps treat osteoporosis. It also helps reduce the risk of invasive cancers like breast and uterine cancer. Calcium helps the formation of bone. This making bones stronger and preventing fractures due to osteoporosis. Other natural alternatives to Fosamax include vitamin D, boron and regular exercise.